Final stop on my THE BIGGEST BANG #1 signing mini-tour! Posted on May 26, 2016 by D.J. 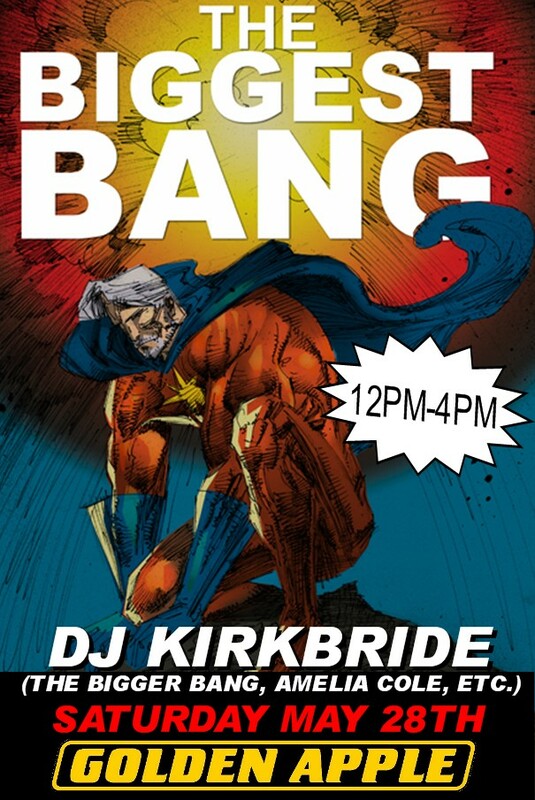 The grand finale of my THE BIGGEST BANG #1 signing mini-tour will be at Golden Apple Comics on Melrose Ave in Los Angeles this Saturday, May 28th, from 12pm to 4pm! There will also be a huge announcement regarding a surprise upcoming superstar store signing at 1pm that day. They’ll be handing out line passes to 50 lucky comic fans, so if that mystery double-entices you, all the better! So swing by for the mystery guest info, then buy a singed copy of my new IDW Publishing cosmic superhero mini-series– it’s a win win! THE BIGGEST BANG #1 signing mini-tour! Posted on May 13, 2016 by D.J. 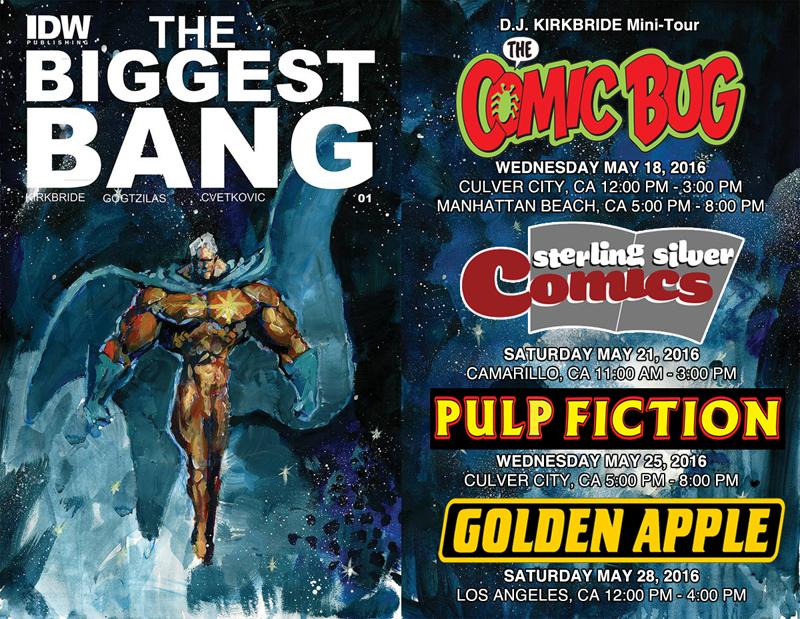 THE BIGGEST BANG #1 is out next week from IDW Publishing, so I’m doing a tiny California signing tour: May 18 at both The Comic Bug Culver City and Manhattan Beach, May 21 at Sterling Silver Comics in Camarillo and May 28 at LA’s own Golden Apple Comics! UPDATE: Pulp Fiction Book & Comics in Culver City has been added to the tour on May 25! Stop by one if you can, and please spread the word!